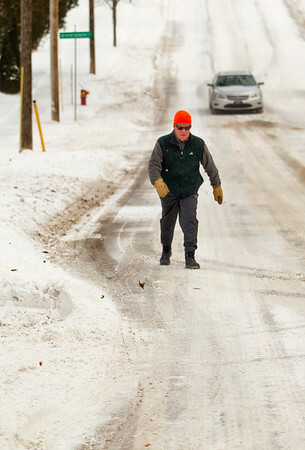 Barney Ewing walks uphill on Union Street during Tuesday's winter storm in Traverse City. Ewing said he walks most days, but the north wind made the downhill portion of his walk less than pleasant. "I may cut it short today," he said.